“However, a limited number of caves can be recognised or seen as open areas,” he said. “Among the important caves inspected is the massive Welimada Sthreepura cave.This cave resembles a tunnel. The explorers have inspected around 100m of huge cave which is about two to three metres in height. 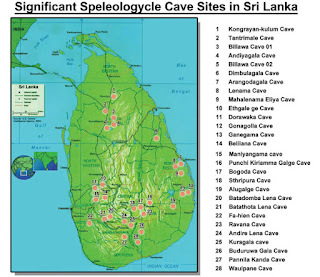 Tributary caves have also been discovered at the Welimada Sthreepura cave,” he said. “Caves are natural habitats for bats which are very important for pollination. Pollination cannot take place if bats were to lose their natural environment. Bats eat insects as their staple food and therefor help to control the insect population. We have to take these matters in to consideration too promoting cave tourism,” he said. “People collect minerals from caves by breaking speleothems in caves. Such activities contribute to the destruction of the ecological systems in caves,” he explained. Sydney University, Australia Prof Osborne Armstrong, Central Cultural Fund Geologist Pathma Jayasinghe, Architect A S Dandeniya are members of the group. 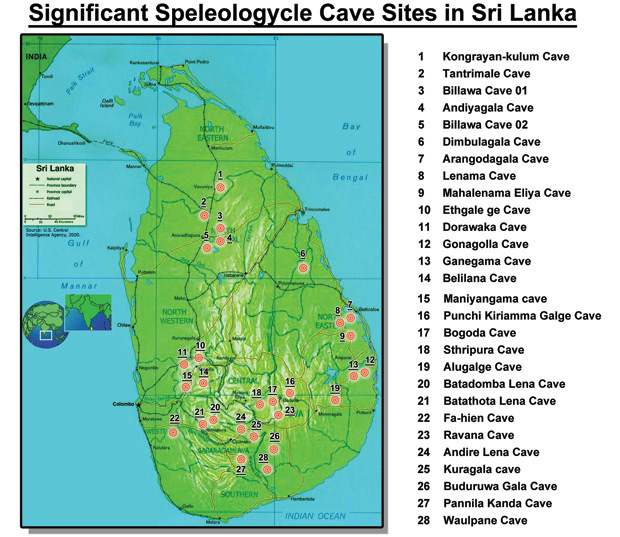 Nayomi Sayanara is the first Sri Lankan women involved in scientific cave exploration.